Recently, Austin, Texas played host to the tenth annual ‘Come and Shave It’ competition. You may remember the Beardilizer blog post about it (feel free to check out that post for details on which Beardilizer Dream Team members were in attendance and who took home some trophies). This competition was a huge deal — not just for everyone competing but for it being a reunion of sorts for the beardos who have been working the competition circuit for the past few months. Beardos came in from around the world to hang out, compete and catch up on what’s going on in the beard world. It is no secret that the beardo community is a strong one, full of passionate people who are all about getting together and having a blast. Lots of beardos descended on the competition to hang out and to show off what they had been working on to grab the judge’s attention. Come and Shave it is unique from other competitions as the Austin Facial Hair Club does its best to represent in the ‘Keep Austin Weird’ category. This group has put together a strong force over the past ten years allowing both men and women to compete! Five of Beardilizer’s strongest beardos were there to hold it down and to show that Beardilizer is a force to be reckoned with. Just prior to the competition, Dennis Morgan made a big decision to transform his beard and join the chop squad, but this risky maneuver paid off. He killed the competition with his chops, coming in at second place! Other Beardilizer team members also placed well in the competition in various categories. Of course, beard comps aren’t all about winning. Being a part of the scene means that you are part of a beardo community. Building up your fellow bearded homies, especially those that are new to competitions (or facial hair in general) does nothing but build your beardo family. Talk to anyone at any beard competition; they’ll tell you that it’s all about having fun and not necessarily winning trophies. Phil Rigney might have accidentally gotten a few people pregnant when going to the competition in his sick as hell beard and baller suit. Sorry to all the nice ladies out there who were affected by the beauty that is Phil’s beard – the beard cannot help itself nor can Phil. Listening to the beardos who consistently place well across the board helps you grow as a beardo. Using tips about grooming, using wax and how to style your beard in a way that is flattering for you is huge! Using product, like Beardilizer’s beard wax can help you shape and style your beard, moustache or even false beard for those ladies out there who want to learn how to do more! The bearded ladies out there can clean up too with a little knowledge from the wise bearded elders. 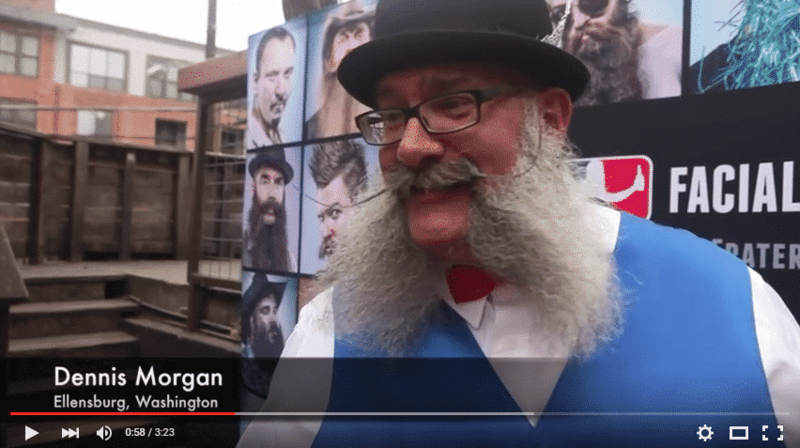 Beard competition recap is so important since it gives us beardos a chance to talk. What happened? What did we learn? How can we improve? How much fun did we have? Every chance to show off your beautiful mane is a new chance for beardos everywhere to show off their stuff. Come and Shave It is only one of the many great competitions out there that make beardos connect in a fun, unique way.